The Kodava or Coorg language (Kannada script: ಕೊಡವ ತಕ್ಕ್ Kodava takk, meaning 'speech of Kodavas', in the Kodava language) is a Dravidian language and the original language of the Kodagu district in southern Karnataka, India. The term Kodava has two related usages. Firstly, it is the name of the Kodava language and culture followed by a number of communities from Kodagu. Secondly, within the Kodava - speaking communities and region (Kodagu) it describes the dominant Kodava people. Hence, the Kodava language is not only the primary language of the Kodavas but also of a large number of other castes and tribes in Kodagu. 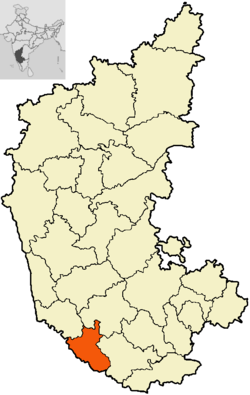 The language has two dialects: Mendele (spoken in Northern and Central Kodagu, i.e. outside Kodagu's Kiggat naad) and Kiggat (spoken in Kiggat naad, in Southern Kodagu). 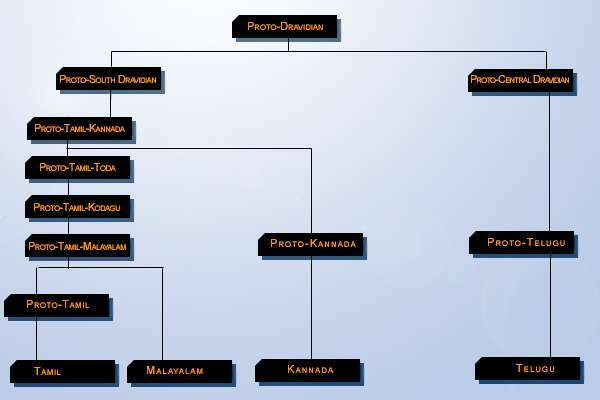 Linguistically, Kodava language shows some deviations from other Dravidian languages. For instance, most Dravidian languages have 5 short and 5 long vowels. Kodava has two more vowels, namely the close central unrounded vowel /ɨ/ and the mid central unrounded vowel /ɘ̞/, which can likewise be short and long (Balakrishnan 1976). These peculiarities and distinctness of the language had attracted the attention of scholars from the sixteenth century. However, they did not consider Kodava an independent language. It was considered as a dialect of Kannada, closer to Tulu (Ellis 1816), or closely related to Malayalam and Tamil (Moegling 1855). It was in the early 20th century that the philologists and linguists recognized it as an independent language. It is closely related to and influenced by Tamil, Tulu, Kannada, and Malayalam. A majority of the words are common between Kodava and Beary bashe, a dialect which is a mixture of Tulu and Malayalam spoken by the Beary and Belchada community. Family histories, rituals and other records were scripted on palm leaves called Pattole (patt=palm, ole=leaf) by astrologers in the ancient times. When Kodava was written, it was usually with Kannada script, sometimes with minor modifications, and sometimes in the Malayalam script as well. The folk songs of the Kodavas, called the Palame (also known as the Balo Patt or Dudi Patt), were orally transmitted across several generations. The language had no significant written literature until the twentieth century. Appaneravanda Hardas Appachcha Kavi, a playwright, and Nadikerianda Chinnappa, a folk compiler, are the two important poets and writers of Kodava language. Other important writers in the language were B D Ganapathy and I M Muthanna. The Pattole Palame, a collection of Kodava folksongs and traditions compiled in the early 1900s by Nadikerianda Chinnappa, was first published in 1924. The most important Kodava literature, it is said to be one of the earliest, if not the earliest, collection of the folklore of a community in an Indian language. Nearly two thirds of the book consists of folksongs that were handed down orally through generations, sung even today during marriage and death ceremonies and during festivals relating to the seasons and in honour of local deities and heroes. Traditionally known as Balo Pat, these songs are sung by four men who beat dudis (drums) as they sing. Kodava folk dances are performed to the beat of many of these songs. The Pattole Palame was written using the Kannada script originally; it has been translated into English by Boverianda Nanjamma and Chinnappa, grandchildren of Nadikerianda Chinnappa, and has been published by Rupa & Co., New Delhi. The Kodava Cinema industry is very small. A few movies portraying the native culture and traditions of the Kodavas have been produced in this language. The first Kodava film 'Nada Mann Nada Kool' was directed by S.R.Rajan and produced in the year 1972. Yenne Ulliya? Hegidiya? How are you? The Kodava months are named after the Signs of the Zodiac. Thus Cingyaar (from Simha or Lion) is named after the constellation Leo and so on. The days of the week in the Kodava calendar, like other systems, are based on the names of the planets. ↑ Hammarström, Harald; Forkel, Robert; Haspelmath, Martin; Bank, Sebastian, eds. (2016). "Kodava". Glottolog 2.7. Jena: Max Planck Institute for the Science of Human History. ↑ "– Official Website of Kodava Community". Kodava.org. Retrieved 2012-06-01. 1 2 3 Kushalappa, M. "The Early Coorgs", 2013. R A Cole, "An Elementary Grammar of the Coorg Language"